If you have any questions, please contact us. Call us at the store or write us an email with your questions. We collaborates with Klarna and use Klarna Check Out. KCO means a quick check-out- if you have previously purchased with Klarna, you only need to enter your zip code and your e-mail address. If it is the first time you use Klarna, you need to fill in your personal identification number, telephone number and e-mail address. Not every country uses Klarna Check-Out. The countrys that use Klarna Check-out are: Sweden, Norway, Finland, Germany and Austria. And other countries pay by card. You choose payment method during step 2. * Invoice - You pay when you received your goods. The invoice will be sent by e-mail and paid within 14 days. * Klarna Direct - You pay directly at checkout with mobile bank ID. The money is automatically deducted when the item is shipped. When you pay via Klarna invoice you shop safe and easy. There is no administration fee. If payment is not received, a reminder fee of 60.00 SEK will be added for purchase over 60 SEK and and also interest on overdue payment of 24.00 % plus current reference rate. At the time of the purchase, a credit check is made, which in some cases means that a credit report is taken. Then you will receive a copy of the credit report by mail. Personal data is handled in accordance with the legislation. Klarna handles personal information in order to carry out customer analysis, identification, credit checks and marketing. Social security number is used as customer number for customer management purposes. * Not applicable to all goods and services, for example, air travel, events and custom made goods. Part payment is the payment method for you who want to choose how much you pay each month. Klarna account is also more than that. In addition to the fact that you always get your goods before you pay, you collect all your purchases in an account. This applies even if you have purchased in several different stores with Klarna account. This means just one invocie, regardless of the number of purchases. In case of a purchase of 10000 SEK with Klarna account basic terms, the setup fee is 0 SEK. The current annual rate is 19.90, which corresponds to an effective interest rate of 29.22 %. The credit purchase price is 11458 SEK. The number of installments is 12 and each part is 955 kr. The example assumes that the payment will take place over one year. At the time of the purchase, a credit check is made, which in some cases means that a credit report is taken. You will receive a copy of the credit report by mail. If you select part payment and agree to the agreement, it also means that you agree to the terms of payment shown in the link above. If you are under 18, the parents permission is required to shop with us. You must, by law, agree that we process data about you. Hogsta Ridsport will not allow any third party to access your information without your approval. You are entitled to view the information of you stored about you. For more information, see the last section "Processing of personal data" at he bottom of this page. Hogsta Ridsport reserves to the print error that may be found on the website. We do not guarantee that the pictures accuratley reflect the acutal appearance or color of the product. In case of war, warlike events, civil war, revolution, insurgency, government action, strike, lockout, natural disaster or similar events, Hogsta Ridsport wil be able to apply force majeure. This means that this agreement does not need to be completed to some or all. If this happens, we will try to inform you. Usually, we ship yout goods the day after you made your order. We use DHL and Postnord, when we ship goods in Sweden. To Norway and other countries, can also Bring be used as a shipping partner. When the package has arrived at your place of delivery, you will receive a notification via DHL/Postnord message that the package has arrived. If we are missing your phone number you get the notification via e-mail. From the date of receiving the notification, you have 14 days to pick up the package. If the package is not retrieved within that time it will be sent in return to us. We will bill 200 SEK for shipping and handling costs for unpacked packages. If your order costs more than 900 SEK, it is free shipping within Sweden. In other cases, the shipping is 59 SEK within Sweden, for other countries, your package will be sent at an average cost for each country. All prices are including 25 % VAT. Prices are valid until new prices comes, with reservation to misprints or significant price or currency changes at the supplier. When you place an order in our online store, our system automatically sends an order confirmation to your e-mail. Once we have checked that all your goods are available, we will send an order confirmation confirming your order. Read the order confirmation carefully after you have received it and check if it matches the order. We reserve the right to cancel part or all of your order if the product you ordered has sold out or has other errors. In case of special order, no order or right of cancellation applies, an order confirmation will be sent to the agreed product. We reserve the right to cancel orders, irrespective of errors such as inventory balance, price, technical issues or mass orders. In case of error, you have the right to cancel your purchase. We also reserve for delays and final sales. Specially ordered goods Products that are customized (custom sizes, dimensions and designs) are exempt from the right to withdrawl pursuant to act (2005:59) Chapter 2, Section 11. These goods are not entitled to return. If a product appears to be sold out, we will notify you via email or phone. You then have the option to choose if you want to wait for the item or cancel your order. If your order concerns multiple items, you can choose if you want to wait for the missing item and get all the goods at the same time or order the item at a later date. If you want you can also part deliver your order, however, it may be an additional charge for shipping. If a product is damaged after shipping, you must report this directly to DHL upon receipt. 1. If you regret your purchase and want to return the item to us, you have the right to return or replace the iteam within 14 days from the day you receive the item. This assumes that you have not used the product and that the item is returned in an undamaged condition and in the original packaging. The iteam should be returned in the same condition as when you purchased it. Hogsta Ridsport reserves the right to accept or refuse refund if the product is not in a sellable condition. If the product is returned and not in a good condition, Hogsta Ridsport has the right to deduct a cost for used product, 10-50 %. Return and replacement rights do not apply to underwear of specially ordered goods. When returning or replacing goods, you will pay the return shipping cost. You can easily buy a return ticket by clicking RETURN on the webshop's first page. Use the return form, which is included in your package to let us know what is making you not satisfied with the product and if you want a replacement item or not. 2. Send the item and the return form back to us. All returned items must be well packed and packed in a box or bag. When you return the item, put the item as well as the original carton/package in a box or bag. Tape or address cards must never appear directly on the original packaging as it will be destroyed and we will not be able to refund the full amount for the item. Hogsta Ridsport reserves the right to make a deduction of 50 SEK for dirty or damaged product packaging. You are responsible for the goods until we receive it. The product is sent to Hogsta Ridsport, 178 93 Drottningholm, Sweden. 3. Once we have received and approved your return, you will receive a refund via Klarna. The refund usually takes 1-2 weeks after we have received the item. Shipping is not refundable. 4. When returning, you are responsible for the transport risk. When you are shipping items worth higher sums, we recommend sending returns via DHL. You can buy a return ticket in the link below. When you purchase the return ticket, it is important that you write in the comment field which item you are returning. Important! When you are at checkout, enter discount code "RETUR" in the discount code field to remove the regular shipping cost. Free return in our store. We do not solve incomplete franked consignments and consignments where the recipient pays the shipping. In the case of a return due to damaged goods or that we have sent you the wrong item, we will refund you for the return cost and for the amount of the item if the item is out of stock. If we have it in stock we will replace you with a new one. NOTE! We do not refund the original shipping cost. 1. You have full exchange within 14 days. This assumes that you have not used the product and returned in undamaged condition in the original packaging. The item should be returned in the same condition as when you purchased it. If the product is out of date, Hogsta Ridsport has the right to deduct a cost for used product, 10-50 %. Enter hogstaridsport.com to search for the desired product. Contact us to see if the desired item is in stock. Our telephone number is +468759 05 07 or by e-mail kontakt@hogstaridsport.com. Our opening hours is weekdays 10:00-20:00 and weekends 10:00-16:00. 2. After you talked to us, fill in the return form you got in your package. The return form can also be downloaded at the bottom of this page. 3. Send the item and the return form back to us. All returned items must be well packed and packed in a box or bag. When you return the item, put the item as well as the original carton/package in a box or bag. Tape or address cards must never appear directly on the original packaging as it will be destroyed and we will not able to refund the full amount for the item. Hogsta Ridsport reserves the right to make a deduction of 50 SEK for dirty or damaged product packaging. You are responsible for the goods until we receive it. The item is sent to Hogsta Ridsport, 178 93, Drottningholm, Sweden. In case of change, you will pay for the return cost. 5. In case of change, you are responsible for the risk during transportation. When you have bought products for a higher sum we recommend sending the package via DHL. Contact us and we can book the shipping with DHL and send you a shipping slip. Can be seen as a return or that you have simply missed out on picking up your package in time. We can then send you the goods again at a shipping cost of SEK 150. If you have chosen not to pick up the package because you have regretted and therefore let it go back, we will charge you a handling cost of SEK 250 which is our handling cost. That amount will be deducted from the refund we make to you when we have received your return. If the product is damaged, defect or incomplete, you have the right to make a complaint. The complaint must be made within a reasonable time from the time you discovered the error. 2 moths are considered reasonable. 1. Start by contacting us on +468759 05 07 or sending an e-mail to reklamation@hogstaridsport.com as soon as you discover the error. Attach a picture of the complaint. An image facilitates the assessment and can speed up the process. If you come to the store, be sure to bring the receipt to make the reclaim. 2. After talking with us, fill in the return form. You will find the return form as a file at the bottom of this page. It is important that you have a clear description of what the complaint concerns. The product you return should be well cleaned or washed. 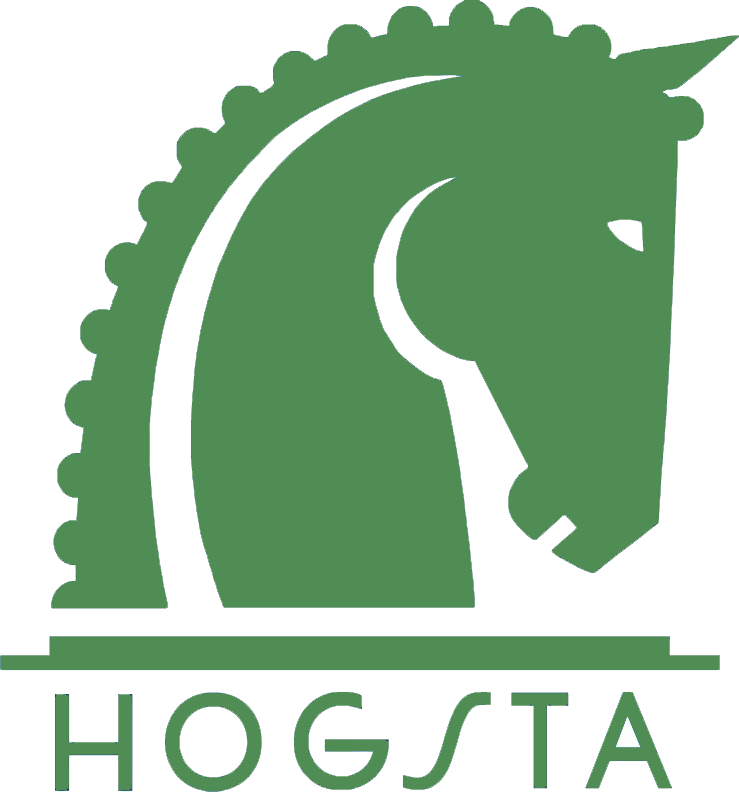 Hogsta Ridsport reserves the right to charge a fee of 150 SEK/product for any cleaning before we ship the product to the supplier. 3. Send the item and the return form to us. Please attach a receipt for the return shipping and we will replace you if we accept the complaint. You are responsible for the item until we receive it. Send the item to the address: Hogsta Ridsport, 178 93 Drottningholm, Sweden. 4. In consultation with the supplier, we will make a decision to replace the item or repairing the item, primarily we will repair the item. Once we have received the item and approved the complaint, will we repair the item if possible. Otherwise, we will send you a new product, provided it is in stock. Should none of the above two options be possible, we will refund you what you paid for the item. May 25, 2018 a new common law regulating how companies can process personal data- the GDPR (General Data Protection Regulation) came in place in Sweden and the rest for the EU. You as a customer are entitled to receive information from Hogsta Ridsport, which personal information we have about you, how to correct incorrect inforamtion and how to ask us to stop using your information. Personal data is information that can identify you as a physical person such as name, address, telephone number, e-mail address, social security number, but also pitcures and purchase history. We ensure that your personal information is protected by us and that the processing complies with current data protection rules. We will never sell your personal infomation. Offer different payment solutions, check your address to Klarna, manage payment history data and payment methods, prevent or detect fraud. View relevant product information, be able to send offers or invitations to event via email. Be able to communicate with you by contacting customer service, email and in our social media accounts. Communicate with participants who participate in a contest, appoint winners and give prizes, communicate before and after events. Manage marketing activities like competitions and prizes. Make our services more user-friendly, develop support to improve and develop our product range and planning of deliveries. Provide statistics on the use of our digital channels and the technical platforms on which they are provided. Technical data such as IP address, unique device ID, type of browser and cookie information can be collected when using our digital services. For example, collecting our personal information in various forms on our digital channels or services, communicating with Hogsta Ridsport via social media, signing up for events or submitting comments via email or phone. Personal data will only be processed by us for as long as it is necessary to fulfill the purpose of the treatment or to comply with Hogsta Ridsport's legal obligations. Hogsta Ridsport treats your personal information in accordance with apllicable law. By purchasing from Hogsta Ridsport, online or in our store, you agree that we use your personal information.